Welcome to St. Paul of the Cross! 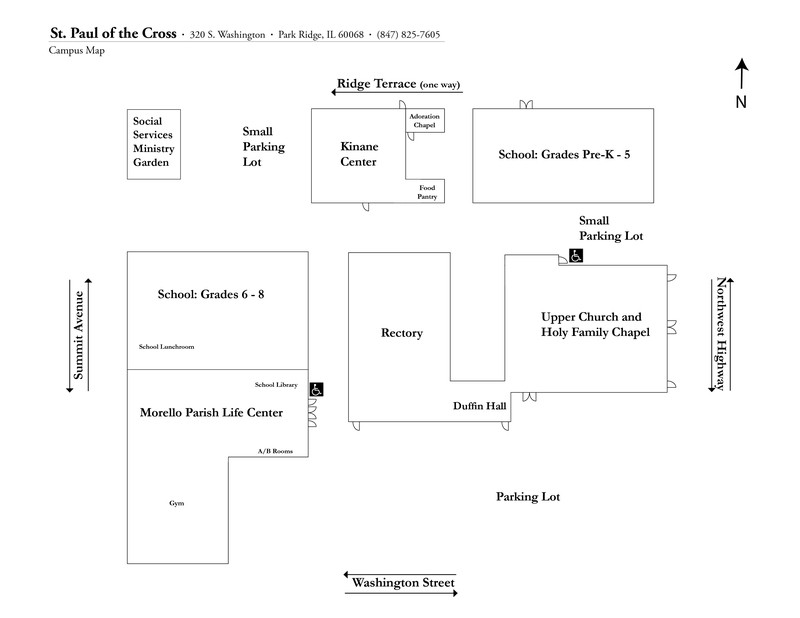 St. Paul of the Cross is a vibrant, active Catholic Parish in Park Ridge, Illinois. We are a welcoming community of over 4,600 catholic families. Our Religious Education program is one of the most vital in the area with enrollment that exceeds 1,200 students each fall. St. Paul of the Cross school enrolls students PreK – 8 with an enrollment that exceeds 600 students. St. Paul of the Cross Parishioners are known throughout the area for their generosity. We have served as a sharing parish for St. Benedict the African and have provided assistance for the renovation of Our Lady of Angels Church in Chicago. Our Social Service Ministry has just concluded a five year commitment of serving hot meals to guests in need on Sunday evenings in our parish gym. Our campus includes two school buildings, a parish center and rectory. There is also a twenty four hour Eucharistic Adoration Chapel . Our weekend liturgies are housed in our Upper and Lower Church. Our lower church is also known as Holy Family Chapel. St. Paul of the Cross has helped make the presence of Christ visible to our community for over 100 years. We welcome visitors and invite you to find out more about us by attending one of our liturgies.